With the advent of e-commerce, many websites are available for online shopping. It's only a great looking website, which provides ease of operation to customers that can stand out from the crowd. Such websites can attract and maintain a good customer base. With an out- of- the- box thinking, we at Syscomcraft provide you custom E-commerce solutions for all your e-commerce needs. Start an online business with a great looking website, enhance your customer's shopping experience and boost your online sales. Get in touch with us today for all your e-commerce needs. 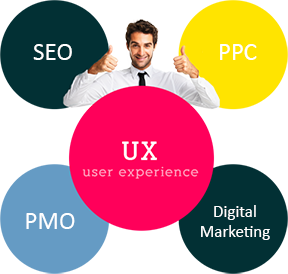 Our technical team is expert in designing e-commerce solutions. With their updated knowledge about changing e-commerce trends, we are able to build e-commerce solutions which are simple to use and as per the recent trends. Get in touch with us today for best e-commerce solutions and see your sales soar.